Dance Auditions for Disney Channel 2013 – Tryouts. Do you think you have the dance moves to rival Zendaya? here is your chance to prove it. Disney’s Shake It Up is holding a dance contest for dancers 8 to 16 years old! 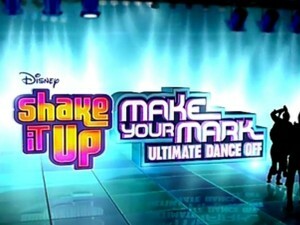 Disney’s Shake It Up Make Your Mark is now holding auditions for 2012 and 2013. If you are a fan of Shake It Up and love to dance, here is your chance to audition for Disney’s top dance show. This is the dance off where dancers can audition by uploading videos of themselves. Whatever your dance style is, Disney wants to check it out. This is the ultimate Disney dance competition and the winners will be selected by the Disney Channel for a chance to be on “Shake It Up”. 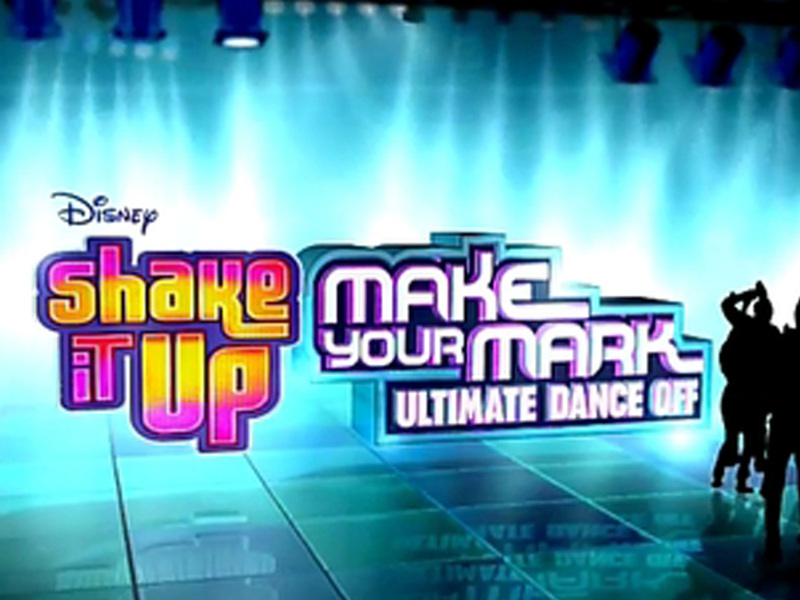 The Make Your Mark: Shake It Up, is the dance contest that may make one lucky solo dancer or dance group a star. Video auditions are now being accepted online and six finalists will be able to compete live, on TV. The Disney Channel will have the finalists perform on the show. Disney Channel stars Zendaya and Bella Thorne will be there as well as celebrity judges who will ultimately pick the winner of the “Shake It Up” dance contest. One lucky solo dancer or a dance team will win the dance off and get guest star role on “Shake It Up” in 2013, when the new season airs. The winners of the dance off, and anyone who applies, must be between 8 and 16 years old, have permission from their parents, and create a dance video to one of Disney’s approved songs. Dancers can be solo or a group of 5 or less. The dance video must be 30 to 45 seconds in length. 45 seconds is the max and may be disqualified if the video goes over that time. You must use the version of the songs that Disney provides which you can see below. Also, they ask that dancers ONLY dance. No singing is allowed. The Disney Channel also asks that dancers be age appropriate and not wear any clothing or shoes that has any brand logos on them. Anyone who doesn’t follow their guidelines may be disqualified. Use light, make sure that your video is well lit with natural sunlight or lights. Don’t dance in front of an open window or any very bright light sources as it may create a bad effect. Light should come from behind the camera and shine on you. Not from behind you shining into the camera. Have someone else hold the camera for you to prevent camera movement. Do not overly edit the video or add any effects. Producers want to see you dance, not your editing or effects skills. Focus on your dance moves and performance. Be at a good distance from the camera. Make sure that you are in the video completely. Do not cut off your hands or feet. Don’t do any risky moves or moves that some people may think are rude or reckless. The songs they would like you to dance to which include songs from Zendaya, CoCo Jones and Bella Thorne. You can find the songs here and download them so that you can play them and dance to them. You have until August 6th to perfect your dance moves, create your video and upload it. Producers will announce the winners on September 14th. The producers are seeking videos that utilize original, creative choreography and showcase the technique, artistry, personality and television appeal of the Dancer or dancers. If you are a group, they would like to see how well you work as a group. Producers of the show may pick up to 10 dancers or dance teams to feature on TV in the Shake It Up dance contest. You can apply for the show here and Make Your Mark. Can you guys contact me for 2014 additions for make your mark 2014? Hello it’s me Anaiya and Ayana and we just want to say hi and that we really want to be in make your mark this year. We have been planning this since last years competition, we are 10 years old and are really excited so please let us be in this year thank you. Wanna be on Make Your Mark shake it up. I was going to do the competition but it finished a while ago but I love your TV show shake it up. I watch it all the time! I like it when you go to Japan. I love zendaya and Bella on Shake it up. I love zendaya and Bella on shark it up and this will be a live time opportunity. I love make your mark, I love the show and OMG, love you all. can I go for this? I want to rise to fame and meet Zendaya and Bella on shake it up on disny. I love them, they is my world. I hope I meet them. Me and my BFF Cassidy really want to win make your mark. We know every one else does though too. We both think you both are really pretty. We are not professionals at dancing but I guess you can call us good dancers. We’ve been in gymnastics until we were in preschool. Thank you bye. I really love this tv show and you guys! I love this show so so so so much and you too omg! I also have a group already but we just don’t have a dance routine 🙁 But, we could work somethings out.. also it would be a miracle if this happened. When does the show start again, like the date so we could be prepared Thanks for reading.